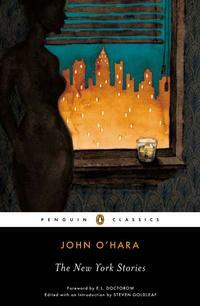 The New York Stories by John O’Hara is a newly published collection of short stories written by one of the most prolific short story writers in America. As can be gleaned from the book’s title, the stories were originally published in The New Yorker. O’Hara was a master of the art of short story creation. Much like Appointment in Samarra, these stories strike at the heart of the human condition. The character descriptions, so spot on they left me envious. The collection contains stories about has-been actors, cheating spouses, alcoholism, snobs, unrequited love, and more. For those who love O’Hara’s work, this is a fine collection for your bookshelves. For those who wish to experience short story writing at its best, this book is a great way to do so. This entry was posted in Uncategorized and tagged Books, E.L. Doctorow, John O'Hara, New York, new yorker magazine, review, short stories. Bookmark the permalink.